The soliflore, reinvented around a remarkable flower, rare in perfume making, the hyacinth. A fluid, profound and richly-faceted flower, velvety, green and crisp, quickened by an unexpected ingredient with a fiery temperament, incense. The spicy aromas of a great perfume in a paroxysm of pure sensuality. Unsuspected mystery and depth. The Thierry Mugler Les Exceptions series launched earlier this year, although they're still very tightly distributed. Supra Floral was the first that caught my eye when I read about the collection, hyacinth fragrances being rather thin on the ground as it were. I bought an extra bottle of L'Artisan's Jacinthe des Bois when they discontinued it so I've still some left, and there's always Guerlain Chamade, although that one is not a soliflore. And there's Tom Ford's Ombre de Hyacinth, which made so little impression on me that I can hardly remember what it smells like. Do comment if there's a lovely hyacinth soliflore I've forgotten! Supra Floral opens sharply green, somewhere between freshly cut grass and the more bitter smell of crushed plant stems. It's crisp and airy, and it stays quite green for a good long time — if you don't like green, I don't think you'll like Supra Floral — but the effect softens as the hyacinth comes to the fore. As Polge has already (accurately) warned, it's "far from the idea of the emblematic, romantic flower". Instead, what we have is a modern sort of hyacinth soliflore: it does smell like hyacinth, but it's likewise crisp and airy, almost like an abstract but recognizable conception of hyacinth. 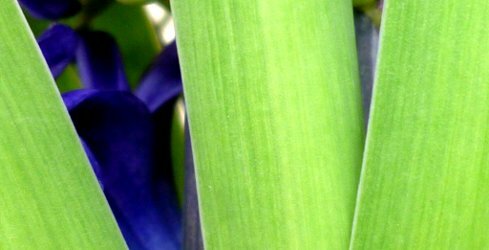 For anyone who has smelled Jacinthe des Bois, or stuck their nose into a bouquet of hyacinths in early spring, Supra Floral smells cleaner, with less floral depth and richness. The early stages, though, have the nicely spicy bite of a just-picked hyacinth. The base is pale-ish, with a very light incense (I would hardly have noticed it if it wasn't mentioned in the notes) and a likewise light woody amber. It's slightly warm, just enough to keep it from being the sort of fragrance you'd only reach for in the spring. It's more dry than sweet, and while a man could probably pull it off, it's easily the most feminine of the five Exceptions. Verdict: I'm not bowled over, but I do like Supra Floral. Admittedly I would probably find the "emblematic, romantic flower" more to my taste, but Supra Floral has a kind of radiance and casual elegance that is attractive in its own right, and that will almost certainly be more appealing to modern tastes. Personally, I'd call it radiant and modern, and of course I'll vouch for crisp and green, but not bold, sensual, fiery, mysterious, seductive, or anything much else in the official description. Regardless, hyacinth fans, or anyone looking for a wearable green floral with a contemporary feel, should certainly give it a try. I'm not sure it lives up to its price tag, but as regular readers know, that's a common complaint of mine — it's hardly exclusive to Thierry Mugler. The lasting power is excellent. Thierry Mugler Supra Floral is available in 80 ml Eau de Parfum in a refillable bottle, $225. It is already out in Canada at selected Hudson's Bay stores, and it will be introduced in the US in late September, at three Nordstrom stores (Miami Aventura, LA South Coast Plaza and Chicago Michigan Avenue). It was developed by perfumer Olivier Polge, possibly with perfumer Jean-Christophe Hérault (it is not clear from the press materials whether they worked together on all five scents). Note: top image is hyacinth [cropped] by rosmary at flickr; some rights reserved. Your description of this makes me think of what Mathilde Laurent did for lily in the Baiser Vole. Lily is such a rich and major note, and she really reined it in w/o making it boring. I love hyacinth flowers, but the smell is so poweful, that I’ve not really wanted to experience a hyacinth soliflore. 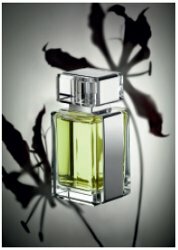 I had a sample and liked jacinthe de bois, but it was never something I wanted to own. This sounds interesting for sure if they’ve figured out how to make hyacinth play nice. Sorta kinda, yes, although without the powder. Now I’m wondering if it will still be too much hyacinth, for people who don’t really want a hyacinth soliflore…do try it and tell us! The best hyacinth scent that I know is Demeter’s Wet Garden. Forgot that one, it’s a great scent. Greenhouse was good too. And just noticed Demeter has started selling 3 ml spray samples for $2.50 each, which is not bad at all. Thank you for the review. This one sounds like a pass to me–I was hoping against hope it would be an oddball collection like Miroir Miroir. Neither are soliflores, but I remember Silences and Le Temps D’Une Fete both having a noticeable hyacinth note. I have to admit I basically skipped the MM collection — I only smelled 2 of them, quickly, on paper, and can’t even remember which 2 they were. But have sniffed all 5 of these and would not call it an oddball collection at all. I’m curious to smell this. It sounds like it may be softer than most Muglers, which I often like initially but soon find overbearing. For hyacinth, I always think of Guy Laroche Fidji, but, again, not a soliflore. Bearing in mind I skipped the Mirror scents so don’t know how strong they were, I’d say yes…these aren’t the usual bold Mugler style. Hmmm. Sounds kind of Gucci Envy’ish. Like monkeytoe, I was one of the oddballs who loved a few of the weirder Miroir Miroir scents, so was hoping perhaps for less modern — although well-crafted sounds good — and more TM strangeness. I note you say most feminine of the five, so… I guess we can expect reviews of the others soon?? I was particularly interested in Fougère Furieuse (from the notes) and am always willing to try a chypre, although the pear sounded sort of alarming. None of the 5 strike me as even slightly strange, so maybe Mirror Mirror fans will find them a disappointment? Over the Musk smells to me like the expensive version of The Body Shop White Musk, so doesn’t much interest me. I will try to finish a review of the Oriental Express for Thursday. this palette to give it a new brightness. Pear takes away the vintage sheen from this great monument of classical perfumery.” And I would say pear takes away all the chypre-ness along with the ‘vintage sheen’ and that the edges are duller instead of sharper, but hey, I’m a chypre snob plus I don’t like pear. Herault on Fougère Furieuse: “«Playing on the codes of the genre, borrowing some elements from the male wardrobe then changing them, daring to be outrageous, these precepts have been applied to the fragrance. Feminine floral facets of the fougère structure have been intensified and the contrasts amplified. The approach is resolutely Muglerian.»” And what it is, basically, is a nice, rather soft neroli / orange blossom scent. It might grow on me, who knows, but offhand it strikes me as a bit tame. Never hurts to check! And would love to hear how they compare to Mirror Mirror. Again, not a soliflore, but AG Grand Amour has a lot of hyacinth. I gave my bottle to a friend over a year ago and now I can’t seem to conjure up the actual smell. Ack, I can’t conjure up the smell either, and didn’t even remember that it had hyacinth…just remember that it wasn’t a favorite. Huh – I never really think about GA with hyacinth, but you are right! I get so much “dirt” and sharp greens out of it. I do like it very much. It makes me think of playing in the garden. I’ll have to smell it again from the hyacinth point of view. I’m always thinking I love hyacinth because I adore the flowers so much (the headier the better! ), but I sometimes have difficulty with it in fragrances. I purely hated Bas de Soie and Envy, which to me have this chilly, metallic edge that works my last nerve. Ombre de Hyacinth I blind-bought a decant of, and I don’t care much for that one either – it’s such a silvery-gray thing, not much of the blooming flower about it. Still might like to smell this one, if I can get a sample. Love the name Florist’s Fridge! Don’t think I’ve tried it though. I love Smell Bent and hyacinth, so I really need to try that Florist’s Fridge sometime, Mals! You do! It’s nice. And, bonus: cheap. I keep looking for the “Like” button here. I love hyacinth and would love to smell what TM does with it. It will be a quest for me to find it though I’m sure. I never ever saw the Mirror Mirror scents and the stores around here don’t even seem to bother with the flankers for Angel and the like. When I asked about the leathers the SA looked at me like I had two heads. 7 stores in North America is not a lot of stores…I guess we can hope that if they sell, they’ll get more widely distributed. But don’t know how many stores ever had Mirror Mirror — I only saw them once, long after they’d launched. They don’t plan on distributing them to more than 14 stores. We sell the Les Exceptions collection in my store for $185…I don’t know where you got $225 from. Over The Musk is sold out everywhere in Canada by the way. It launched in Italy about a month after Canada and now is in Lebanon. If the states has to pay more, i hope that means it brings more business to Canada when it comes to Mugler fans that are visiting. I love hyacinth. And I actually really liked/like TF Ombre de Hyacinth and I got a second, larger decant when I had the opportunity. I hadn’t heard of this Mugler at all, but I guess that’s not surprising since it’s so limited. Not sure I like the idea of a warm, amber base, even if it’s light. I’d prefer my hyacinth more green. Thanks for the review. I don’t think I’ll seek it out due to the price point anyway. Grand Amour, also not technically a soliflore, is one that reminds me of Chamade and is quite good. I think you will find this pretty darned green…long into the dry down, and a very pale, summer-weight amber. But even if it turns out to be cheaper than $225, I would probably still think it was too expensive, so totally understand not seeking it out. It’s one of the reasons I didn’t chase down the Mirror series. I was also going to suggest Gucci Envy as a hyacinth scent. It’s one of my favs, along with Chamade. I’m not a big fan of Mugler’s usual work (Angel, Womanity), but I’d like to sniff this one. I’ll be in Seattle in Oct & London in Dec so will keep a look out for this, although it’s a tad pricey! I would also mention the hyacinth note in AG’s Grand Amour, which I did have a bottle of some years ago when forcing myself to try out something other than my beloved Eau de Camille… I will also look out for the Demeter one mentioned – Demeter is hard to come by in the UK, especially in my part of the world. I used to wear Le Temps d’Une Fete but always believed it was narcissus rather than hyacinth. Would think they’d be in London somewhere, but don’t know where…probably Harrods. I live in Toronto and my Hudson’s Bay had these on release. I do love a sharp green floral, and had picked up a sample that week. (the vial came in this beautiful black on black box with velvet inside) I remember loving the initial spray, but was bored with the dry down. Which brings me to this evening- I had just enjoyed a long bath and a glass of wine. I decided to try a long forgotten sample and Supra Floral it was. Omgoodness. I don’t know if it was my extra warm skin or wet air in the bathroom but I can’t stop smelling my wrist. It’s been 3 hours and It’s so heady and bold, green and creamy. Just perfect. Too bad one can never replicate the same scenario twice. I will keep with the bubble bath for next time though.